As a college student, Maury Scobee couldn’t imagine committing his life to working for just one person. Yet, God called him to do just that for the next 40 years, serving as personal assistant for the late evangelist Billy Graham. 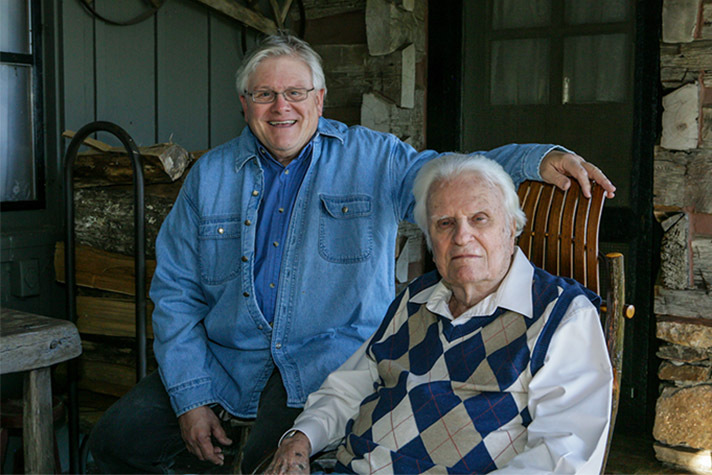 Throughout the decades, Scobee spent countless hours with Mr. Graham, attending over 80 Crusades around the world and regularly finding a seat in the kitchen of the Grahams’ log cabin-style house nestled in the Blue Ridge Mountains. He’d do whatever needed to be done, whether it was helping gather items before a Crusade, watching the grandkids or taking care of Mr. Graham during his last years of life. “You know, you consider it a great joy in your heart that the Lord called you to be such a great part of behind-the-scenes capacity for someone so great as Mr. Graham,” Scobee said. 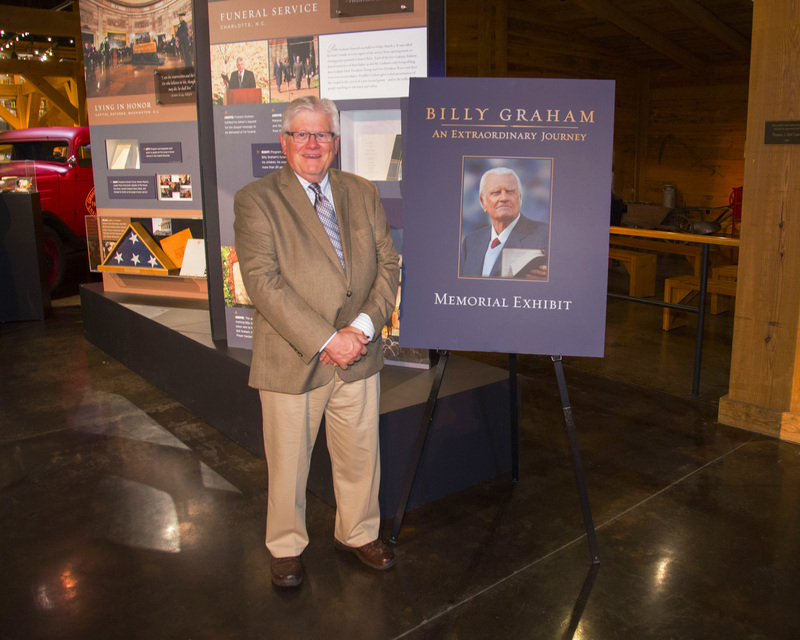 After Mr. Graham’s passing in February, Franklin Graham asked Scobee to move from his home in Black Mountain, North Carolina, to Charlotte, North Carolina, to work at the Billy Graham Library, which is on the grounds where Mr. and Mrs. Graham are buried. Since June, 70-year-old Scobee has been working as a ministry ambassador at the Library, constantly reminded of his history with the Grahams. During his 20s, Scobee attended LeTourneau University in Longview, Texas, switching majors from engineering to business, unsure of what he wanted to do with his life. He eventually got involved in the hotel industry full-time but continued his schooling. During his fifth year, Franklin Graham started attending his school. Franklin later returned to school and would sometimes stop by hotels where Scobee was working or they’d go get pizza. Scobee recognized God had brought the friendship together but didn’t know He would align his future career through it. Scobee had rededicated his life to Christ during his first year of college, and had been “praying for the right thing about what to do and where to go and how to serve.” God was about to answer his prayer. While Scobee was becoming successful in the hotel business, Franklin reached out to him one day and asked if he’d come to his father’s Atlanta Crusade in ’72. “Mother and Daddy are wanting to meet you,” Franklin explained. Scobee met the Graham family and later attended more Crusades. Mr. and Mrs. Graham eventually asked Scobee to consider coming on board to help them. Scobee accepted and began working out of their home, and “after only the third day, something came over me … and I felt the Lord telling me, ‘You’ll be here for a long, long time,'” he said. People had offered him all kinds of ideas for jobs—including the lucrative opportunity to open up 50 hotels in 20 years for Holiday Inn—but Scobee turned them down. Instead, he worked for the Grahams on a six-month trial period, getting to know them, earning their trust and often sharing meals with them. On one particular day, Mr. Graham told him, “Hey, come up. Ruth and I want you to come eat lunch right quick.” Scobee agreed, not thinking anything of it until it was “sort of quiet” through lunch, dessert and coffee. Scobee knew something was going on. “Do you know what today is?” Mr. Graham finally asked. “Today ends your six months,” Mr. Graham answered. Scobee nearly collapsed on the inside and said a quick prayer. He’d spend the next four decades at Mr. Graham’s side, never in the spotlight but always taking care of the family. He’s stayed single all these years. “I loved ’em so much that I didn’t mind at all just putting my life on hold just to help in every area for them and for the grandkids, feeding the dogs—whatever came up—nothing too big, nothing too small,” Scobee said. From running out to get Mr. Graham’s dictated sermons typed up to traveling to Washington, D.C., after 9/11 with no other planes in the sky as Mr. Graham prepared to pray at the National Cathedral, Scobee was constantly in unique situations while on the go with Mr. Graham. Nevertheless, Mr. Graham’s character didn’t change. “He was just always ready to speak to anyone,” Scobee said. “I think all these experiences enabled Mr. Graham to be able to immediately respond and be a real comfort and joy and blessing to each person he met. “We would be in a restaurant—and he wouldn’t be able to see [with his back to the crowd], but I could see all these people that recognized him and were dying to talk to him,” Scobee said. Despite being listed on Gallup’s ‘Most Admired’ list for decades, Mr. Graham treated each person he encountered with love and respect regardless of their position. “In fact, I think that he would almost hug before he gave a handshake,” said Scobee. Scobee grew exceptionally close to the growing Graham family through the years, and often had a balancing act of letting the family have privacy. “I always tried to carefully size him up to see if he was involved with having counseled somebody on the phone, being sensitive to what kind of day he was having,” Scobee explained. He often just made himself available to Mr. Graham instead of approaching him directly. Scobee treasured conversations on drives to Asheville or Charlotte with Mr. Graham, but was always careful to not have 100 questions ready to ask him. And at times, Mr. Graham would ask for Scobee’s thoughts on certain things, humbly taking in his ideas and opinions. For the last several years of Mr. Graham’s life, Scobee spent the evenings with him. They’d eat dinner together and sometimes watch the news. The evening before he died, Scobee was with Mr. Graham. He grabbed both his hands and said, “Good night, Mr. Graham, I’ll see ya tomorrow.” Thinking that he may live to be well over the age of 100, Scobee had no idea that just hours later, Mr. Graham would be in the presence of God. Unsure where you’ll spend eternity? You can know for certain today.